The Great River Writers Retreat winner is selected from an applicant pool of writers from Illinois, Iowa, Minnesota, and Wisconsin across multiple genres, and allows the winner to spend a week working on a specific writing project they have underway. The winning Iowa or Illinois writer will receive a residency from Monday, August 26th through Sunday, September 1st, 2019, at the Benet House Retreat Center in Rock Island, Illinois, a travel stipend, and an invitation to read to the literary community of the Quad Cities. The public reading of their original work will take place on August 31st, 2019 at the Midwest Writing Center at 2 p.m.
5. 10-page sample of your work (poets: 10 pages of poetry, one poem per page; fiction and nonfiction writers: 10 pages of a short story, essay, novel excerpt or other work, accompanied by a brief synopsis if necessary). The work sample should be taken from writing done within the last 3 years. 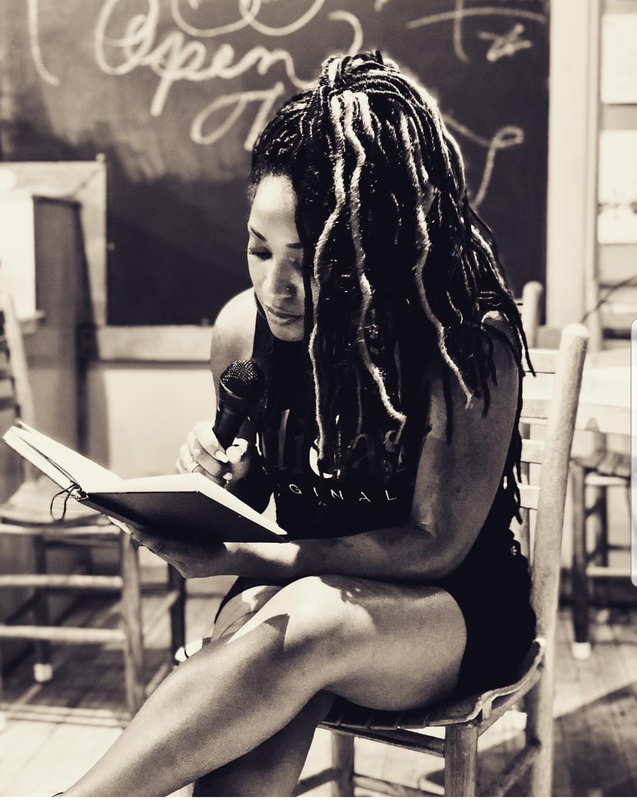 The Midwest Writing Center would like to invite the public to enjoy a free reading by the Great River Writers Retreat contest winner, poet and nonfiction writer Chanell Ruth (Chicago, IL), on Saturday, September 8 at 2:00 p.m. at the MWC offices at the Rock Island Public Library. Chanell Ruth will be spending a week (September 4-10) concentrating on her writing at Benet House in Rock Island, Illinois. She will celebrate his experience in the area and share some of the writing she worked on during the retreat at the reading, which will take place at Midwest Writing Center on the ground floor of the Rock Island Public Library, 401 19th St. Rock Island, IL. Light refreshments will also be served. The finalists for this year’s Great River Writer’s Retreat are Jane Sadusky (Madison, WI) and Elise Hempel (Charleston, IL). Chanell Ruth is a writer, multi-medium artist and educator. After her year as poet-in-residence (2016-2017), at The Chicago Poetry Center, she joined the faculty at the University of Indianapolis, where she continues to teach English and creative writing in a joint program at Zhejiang Yuexiu University in Shaoxing, China (2017-2019). Her current creative projects include writing a memoir about her year in China and poems about African-American fashion culture and identity, and developing a poetry club at ZYU. While receiving her MFA from Chicago State University, she served as Poetry Editor of Warpland: A Journal of Black Literature and Ideas. Her poems have appeared in the Louisiana English Journal, Reverie, Fingernails Across the Chalkboard: Poetry and Prose on HIV/AIDS from the Black Diaspora, and the stage adaptation of the text. Her writings on HIV/AIDS continue in Spaces Between Us: Poetry, Prose and Art on HIV/AIDS. Her work has been curated at the Du Sable Museum exhibit The Citizens Picnic: Lynching in America from 1865 to Present. Her poetry also appears in Mom Egg, Drunken Boat, Lone Star Legacy: African American History in Texas and Tidal Basin Review, as she was the featured Series Poet for the Spring 2012, issue. Chanell is a Hurston/Wright and Callaloo Workshops and Vermont Studio Center Residency alum (2012, 2018). She remains passionate about writing, education and women’s health, spreading her voice in many formats, from a feature on the WGN news, to multiple appearances as a panelist on WYCC’s “The Professors”, participating in Mortified, to a role in an award winning short film. She is excited about the GRWR and plans to complete a chapbook and enjoy the solitude and work with the creative community.